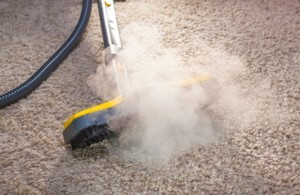 Don’t settle for dirty carpets in your office! It can’t be overstated how important it is to keep your office space clean. One of the best steps you can take is to invest in deep cleaning with a reputable commercial cleaning company like A360 cleaning. There are many advantages to doing so! Keep reading and discover some of the major benefits of deep cleaning in your office space. It is important to remember that first impressions are everything. If you walked into a dirty office space, your morale would likely take a big hit. Dirty carpets combined with a dirty seating area could turn away potential customers as well as making employees feel unmotivated when they come into work every day. If you want to send a positive and uplifting vibe to all occupants in your commercial office space, you need to keep the area clean! It is also important to remember that a clean appearance is also a professional appearance. If you want customers and visitors to take your business seriously, you can’t allow it to become dirty. Many employers are unaware of how dirty their commercial spaces are. There are all sorts of bacteria and allergens that can accumulate inside your commercial office space. Since most employees spend approximately eight hours a day in their work environment, it is imperative that your space is hygienic, so people do not become sick. Many people view deep cleaning as an unnecessary expense. However, it should be seen as an investment because it will help preserve the life of your carpets, sofas, and other upholstery you have within your office space. By not thoroughly cleaning it, it will not last nearly as long, and you will probably wind up spending more money in the long run. This entry was posted on Friday, January 18th, 2019	at 11:30 am	and is filed under Commercial Cleaning	. You can follow any responses to this entry through the RSS 2.0	feed. Both comments and pings are currently closed.